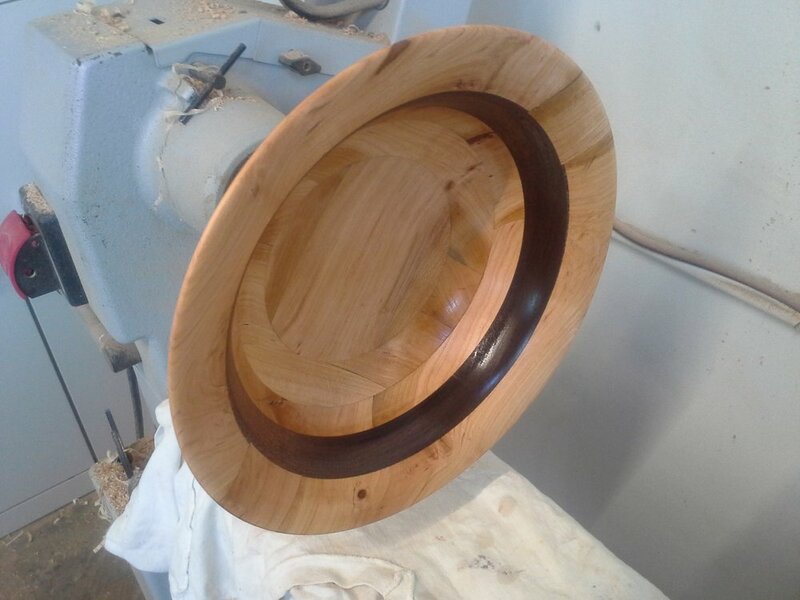 Fascinated by lathe work since he was in his early teens, Dave became more involved with woodworking in the mid-90's and formed Knotty Turn as a means of publicizing his work. His favorite is to take wood normally considered of no value and turn it into a piece of unique beauty. This includes spalted wood as well a wood deformed by insects and partial decay. Although not as expressive of the beauty of marginal wood, he also likes to tackle projects that are more standard cabinetry. recent projects have included wall-mounted nightstands and window seats. Both of these met a specific need that could not be solved by standard products found in stores or even online. At times Dave likes to just doodle with the wood where you'll find pens, bracelets, tops, yo-yos and other fun things. In this vein he will tackle special projects such as a unity candle or other projects bound to become heirlooms. Although pieces are available on a regular basis, his favorite is to work with the client to satisfy their specific interests. Please visit KnottyTurn.com for more.